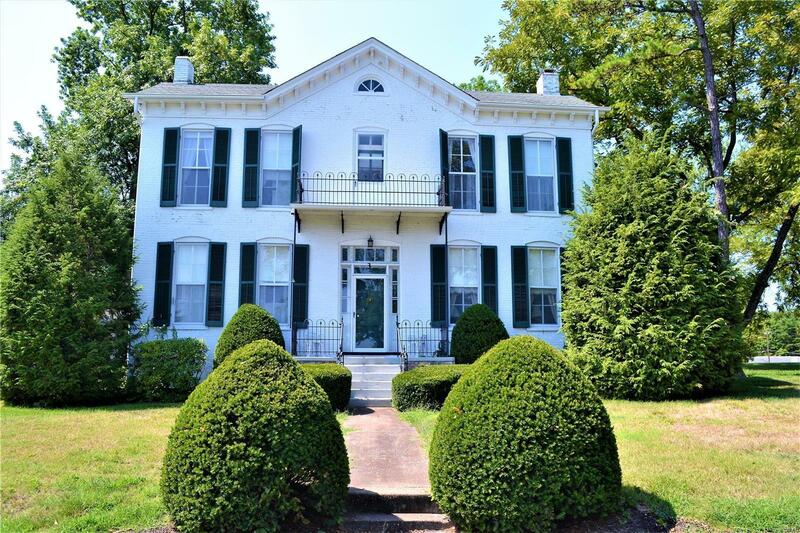 This historic home was built in the 1880's with an addition added later to accommodate their needs for a larger home. It is one of the first homes built in Washington by Arch S. Bryan, a river boat captain. You will understand why he picked this amazing site to build his home when you see the incredible view of the confluence of the Missouri River and St. Johns Creek with the bluffs and hills as a back drop. The home offers 3 bedrooms, 2 baths, large living/dinning room, family rm w/ stone fireplace, kitchen and large side deck. The home has the original doors, windows, shutters, eight inch brick walls and iron work. Property is situated on a 1/2 acre lot and has a oversize 3 car garage w/ work area. Bring your artistic style and imagination and create a "One of a kind" home just for you.